This Sunday 11th March we will be at two fabulous venues for their spring wedding fayre I will at Sandon Hall in Sandon Staffordshire. 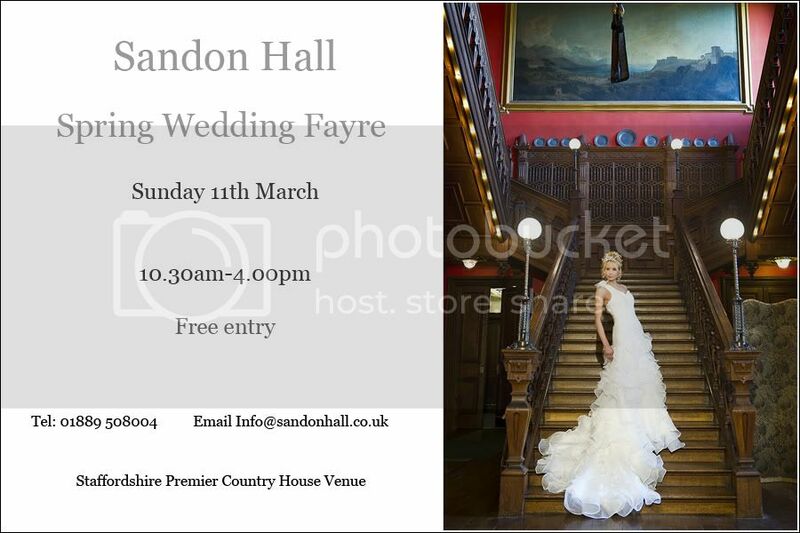 Sandon Hall’s Spring Wedding Fayre Sunday 11 March 2012. There will be over 30 exhibitors present, including photographers, florists, local accommodation providers and musicians. Refreshments will be available in the Conservatory while there will also be a free champagne draw. Entry is free. Fayre runs from 10.30am until 4pm. Please feel free to come along and say hello……….